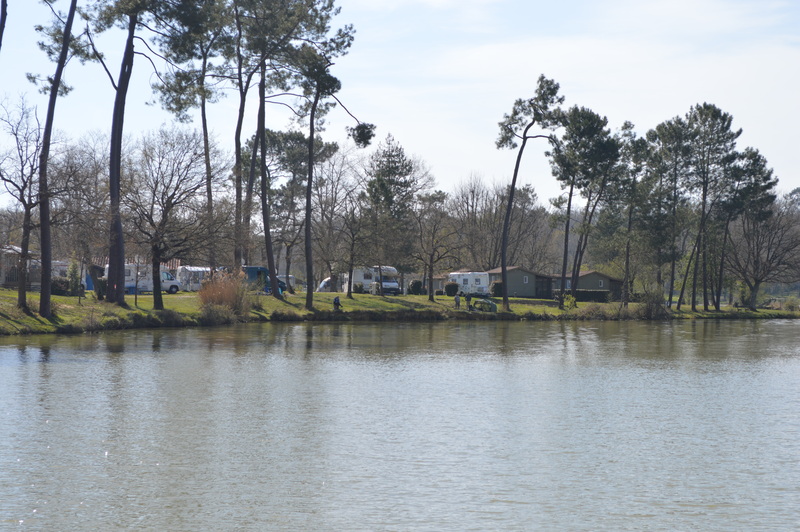 We had such a wonderful and relaxing time at Camping Lac de l’Uby, in the Gers Department in the Midi Pyrénées region, that I even forgot to write in my diary! 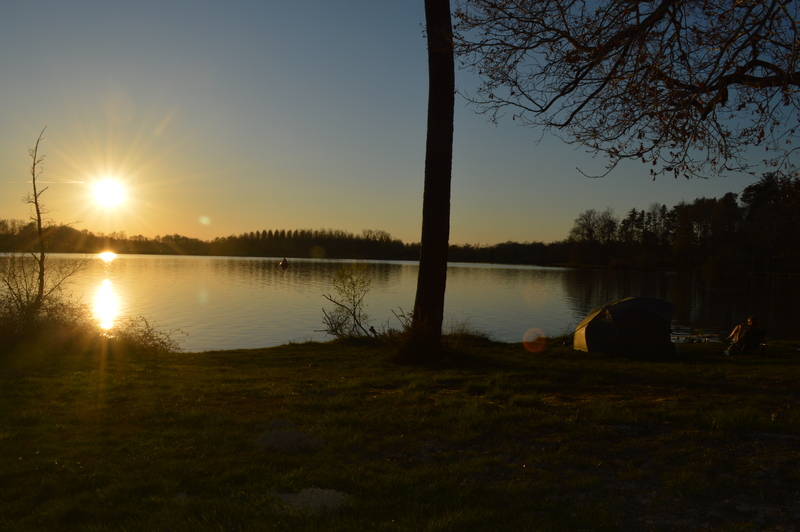 We arrived one day earlier than arranged, so they gave us a temporary pitch for the day before we could set up at the pitch we’d booked, 134, which is just perfect for access to the lake for fishing and proximity to shower block and washing facilities. 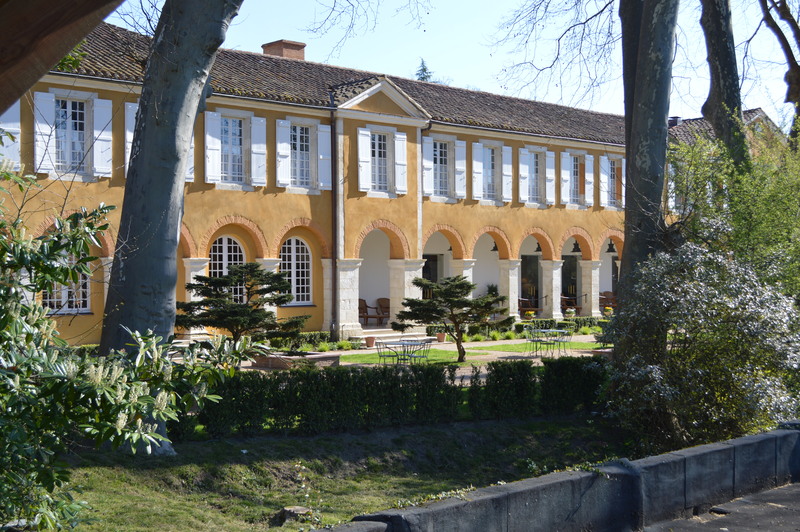 There we met up with some of the people we met last year, who seem to go there every year for the heart treatments at Barbotan-les-Thermes, just down the road. I was delighted to see Dany and her husband again and we even spent a couple of hours crocheting together, as she was quite keen to learn how to crochet with wire and beads, and we made a necklace together, which was also great to improve my conversational French. Adonis bringing in one of his many catches! 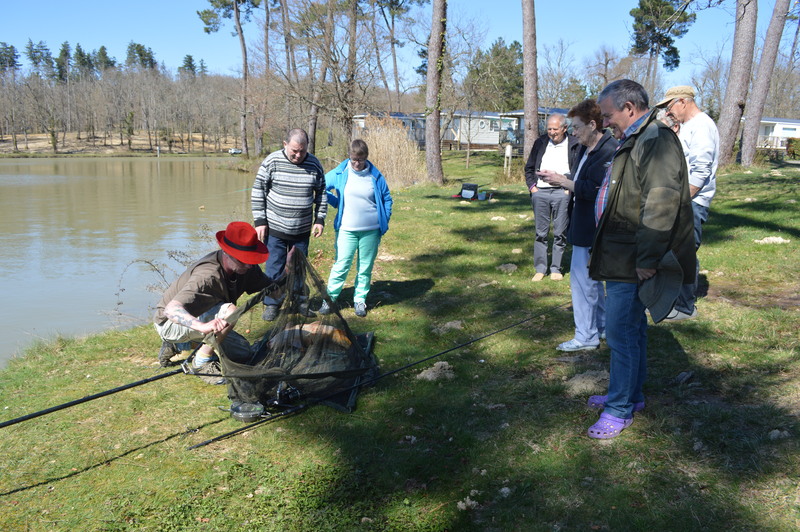 Adonis was extremely successful with his fishing, catching an amazing total of 11 carp, ranging from 8 to 14kg, and he really was the star of the show, with some of the other campers coming to see and photograph what he’d caught. 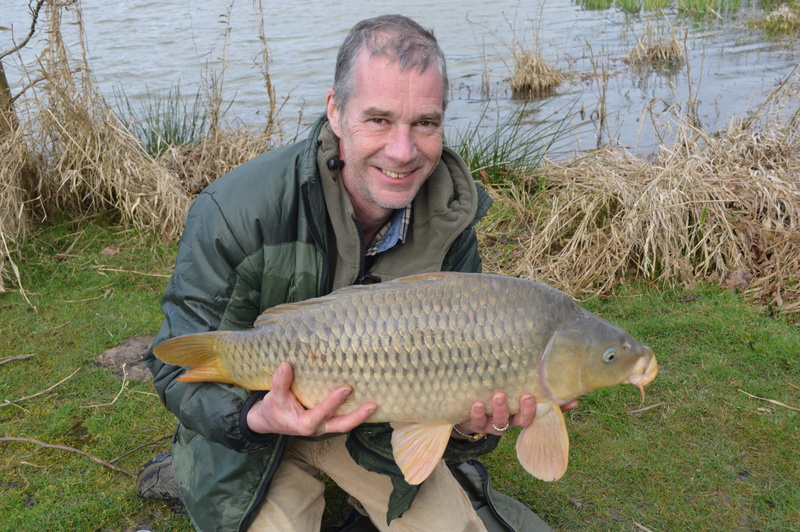 A nice looking fish and fisherman! I had my usual Spa treatment at Barbotan, this time the Soin Sérénité, which included a full body massage, a kaolin bath, a hydromassage bath and access to the steam room and jacuzzi: just heavenly! We were having such a fantastic time in the sun and warmth that we booked 2 extra nights and only left this morning and we have decided that next year we’ll book for 2 weeks and drive there straight from Calais. It was really hot at times, needing sunblock and hats and swimwear, and we had the most amazing and idyllic sunsets right in front of us. 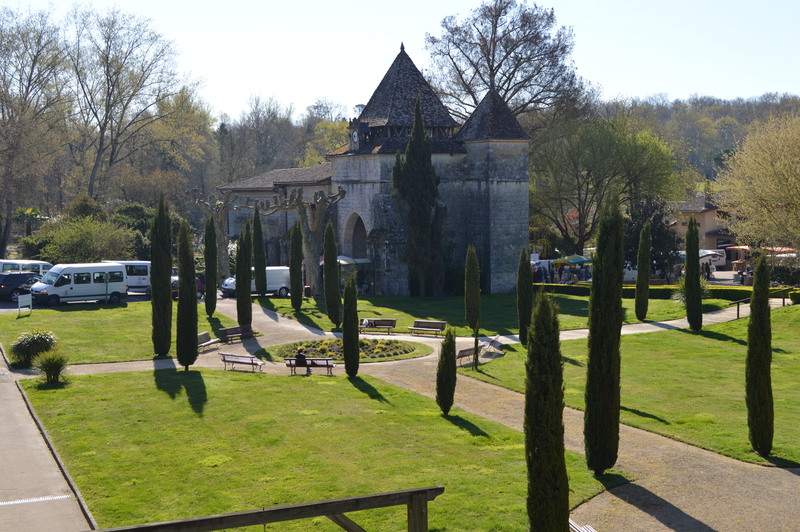 We did a small shop this morning at Supermarché at Cazaubon before joining the motorways A65 at Roquefort and A62 at Langon towards Bordeaux and A10/N10 to Angoulême. 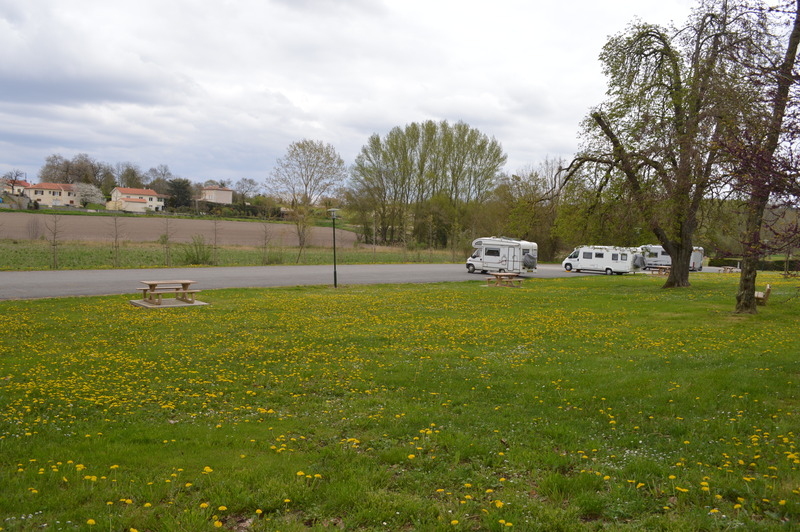 This motorhome aire at Roullet-St-Estèphe is just about 5 miles south west of Angoulême, it has enough space for about 20 vehicles and is surrounded by green fields and only 5 minutes walk to the village. It’s free, it has a water tap and emptying facilities and a few picnic tables. 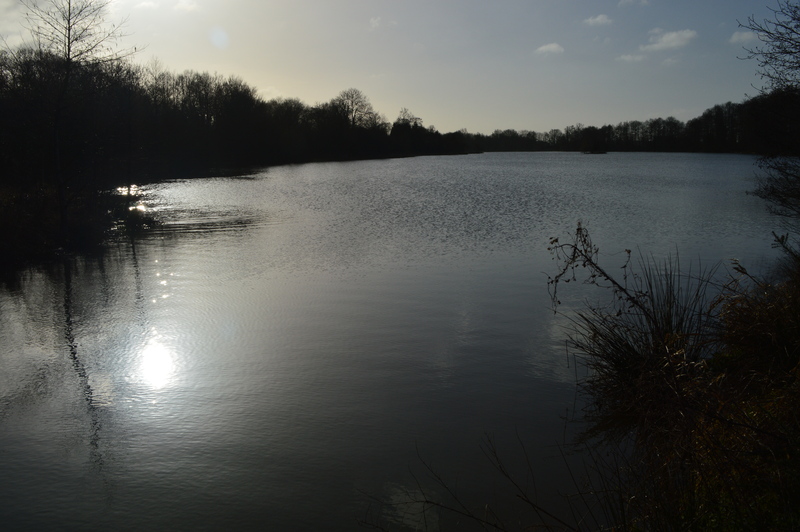 There is also a lovely dog walk and a YPO motorhome and accessories centre and shop. 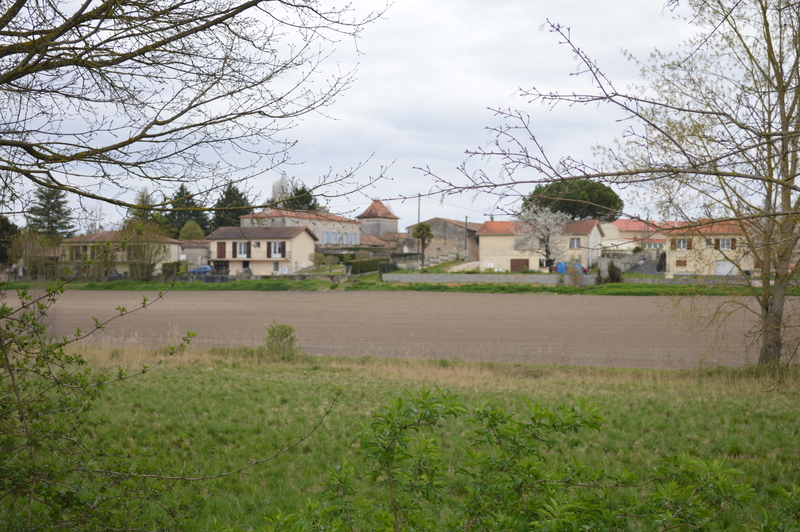 Tomorrow, we are hoping to make it as far north as Marboué, just north of Châteaudun, and then Pont de l’Arche for Monday to take Beano to the vet on Tuesday morning, but if Marboué proves too ambitious, we might cut the journey short and stop at Villedômer, just south of Château-Renault. It’s been a funny old week during which hardly anything has gone according to plan, in as much as we have a plan. 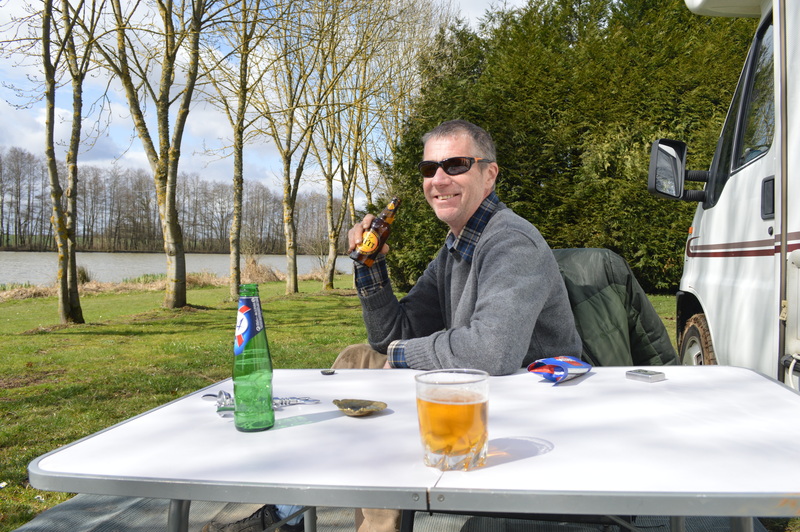 We set off last Saturday morning and caught an earlier Eurotunnel crossing than anticipated with the hope of getting to Auchan in Boulogne-sur-Mer early in the evening in order to to our weekly shopping, but alas, this is where things started going pear-shaped. We were surprised to find exit 31 on the A16 closed without prior warning, so we had to carry on to the next available exit at J.29, where we saw a big Leclerc. Not being familiar with the layout of this hypermarket, our shop took a bit longer than expected and I was a bit disappointed at not finding a magazine section to get my ‘must-have’ Marie France to read during the next few days and, as things turned out later on in the week, I really missed. 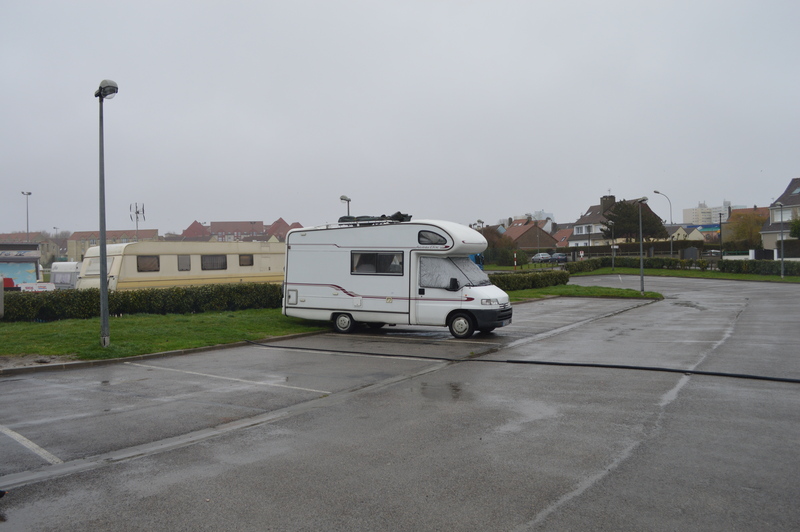 With the shopping out of the way, we carried on to Le portel, as it was off the same J.29, to try the motorhome aire there, which we found very pleasing, even though it was dark and raining quite heavily when we arrived. We quickly got on with warming up our dinner for the night (paella from the delicatessen counter) and had an early night after a long day driving. This aire costs €5, payable at the entrance barrier). 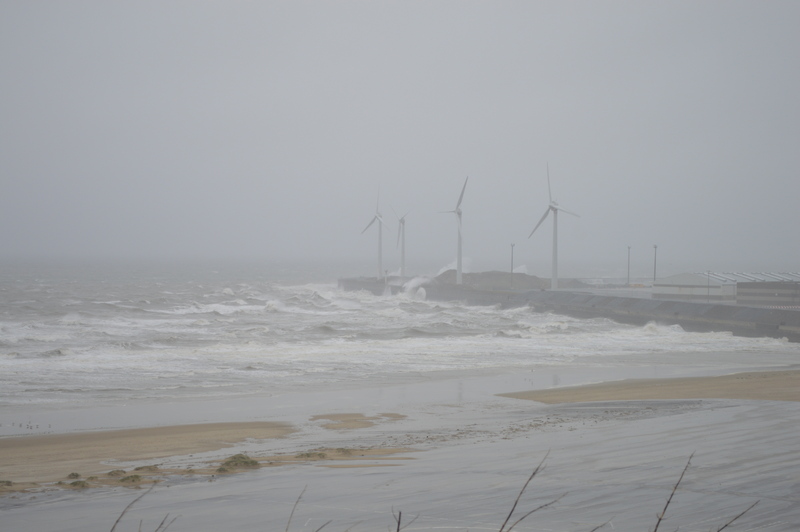 Before leaving on Sunday morning, Adonis enjoyed a very windy walk with Beano on the dramatic seafront, perfect for wind turbines. 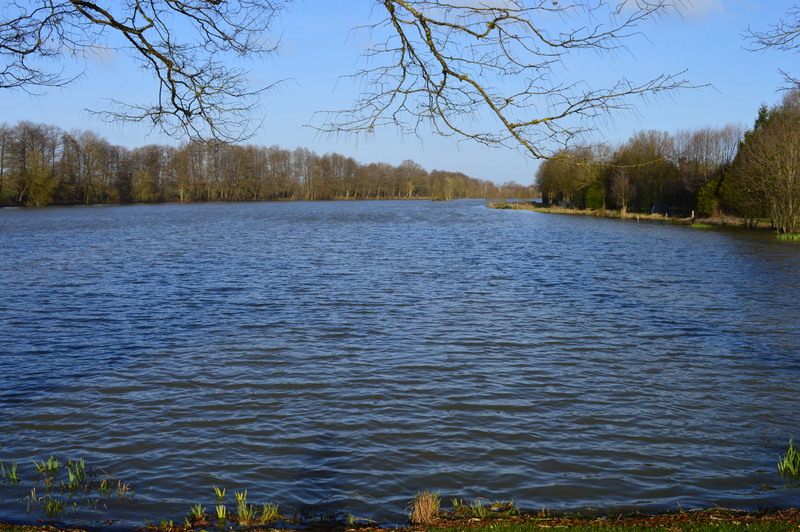 We spent Sunday at lovely Pont de l’Arche, still in the rain, but this cleared by the time I took Beano for his afternoon walk and, unusually, I didn’t come across anybody walking along or fishing by the river, even though it was Sunday. Something to do with the clocks going forward the night before or it being a wet day? 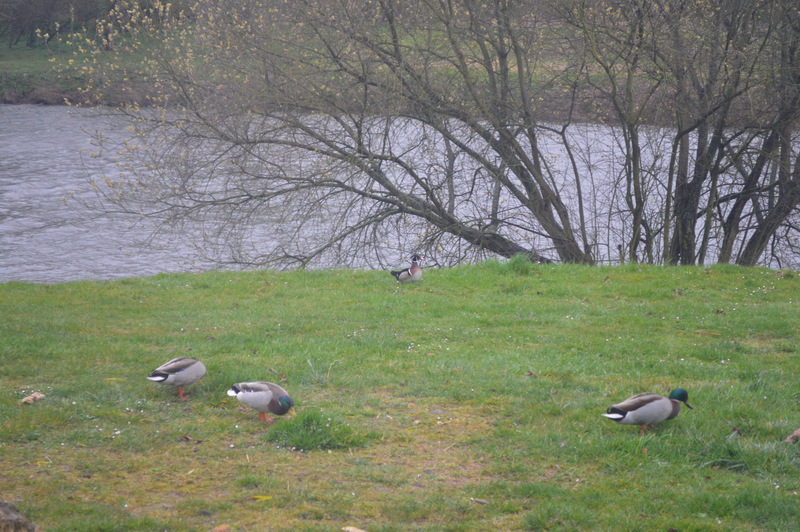 Our first proper destination for this Easter holiday was Etang Neuf at Neuilly-sur-Eure, where we arrived just after 11 am on Monday morning, but were unable to drive onto the pitch itself due to the wet grass. We first tried our bread crates to help us into position, but our efforts failed, so Adonis went off to get some help and came back with two very nice and friendly young men from the north of England and, with Adonis at the wheel, the crates under the tyres and the 3 of us pushing the van, we got nowhere fast, either forwards or backwards and only succeeded in making a muddy mess on the ground. 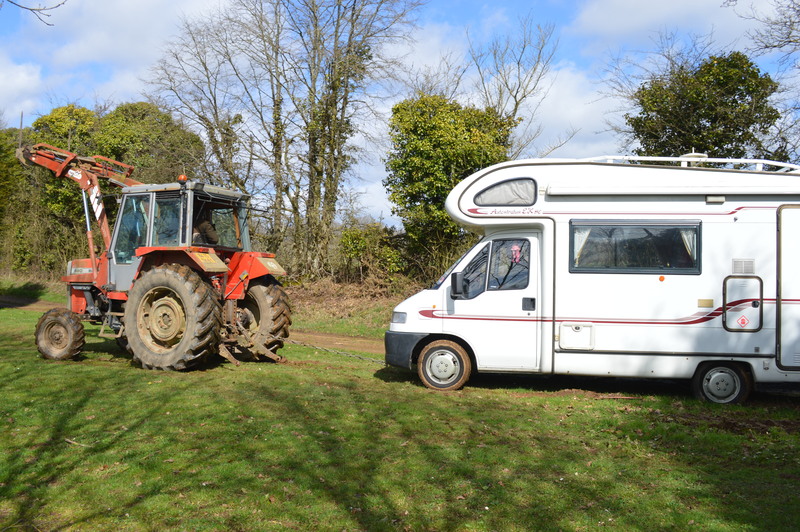 The next move was to get Didier, the farmer, to tow us in with his 4×4, but this too ended up with the ground churning up below the van and not moving an inch. 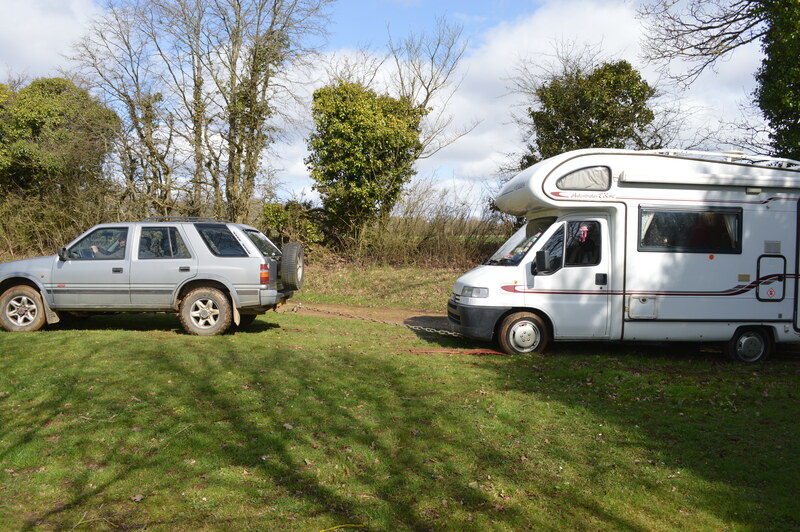 As a last resort, Didier set off on his 4×4 to fetch his tractor and a few minutes later we were finally into position on our pitch Number 4 hoping it wouldn’t rain and soften the ground even further for the next four days. Being towed by tractor, this time successfully! Luckily, Monday was a mixture of sun and clouds with no rain and we were optimistic enough to put the awning out with the wind-blockers on either side, but the wind picked up in the evening and seemed to turn into a gale-force storm during the night, to the point where the awning was flapping about so much that Adonis had to get up in the wee hours of the morning to put it all away again!!! Tuesday was still a very windy day, with no chance of me sitting outside after mid morning coffee, to the extent I couldn’t even cycle to the village to get our daily baguette and, although Adonis kindly offered to go himself, he had a puncture on the way up and had to walk the rest of the way and back (about 4 miles altogether). Luckily, he bought a very big baguette that saw us through lunch for the next couple of days. The weather didn’t improve much on Wednesday and I spent most of it inside the motorhome with no internet or 3G connection and NO Marie France magazine: I was really missing it by now… Well, at least I managed to work on my crochet and make a necklace and bracelet set and read my kindle and my brother’s book ‘Huyendo de Occidente’. The best thing that happened was Adonis catching 2 carp in one day. 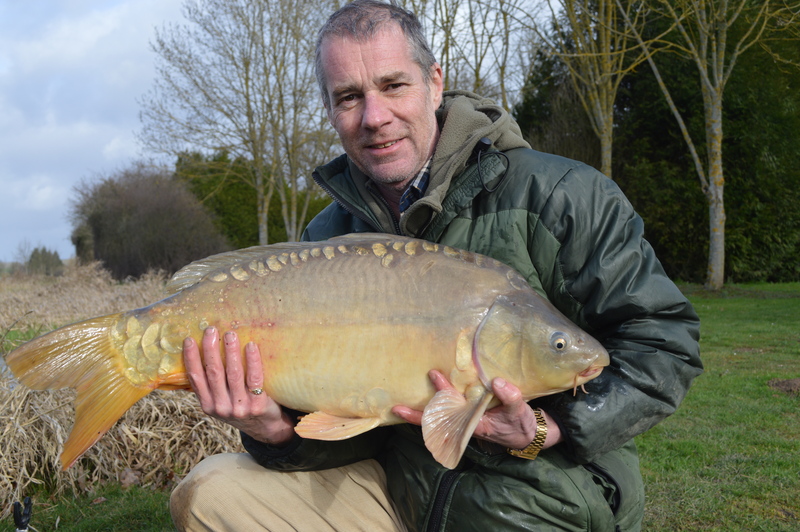 The first one was around 14lb and the second around 20lb, so at least we both got something out of our stay at the lake. As we were feeling a bit dead in the water, we decided to cut our stay short and left a day early on Thursday and once more we had to be pulled away by tractor after packing our very muddy belongings. 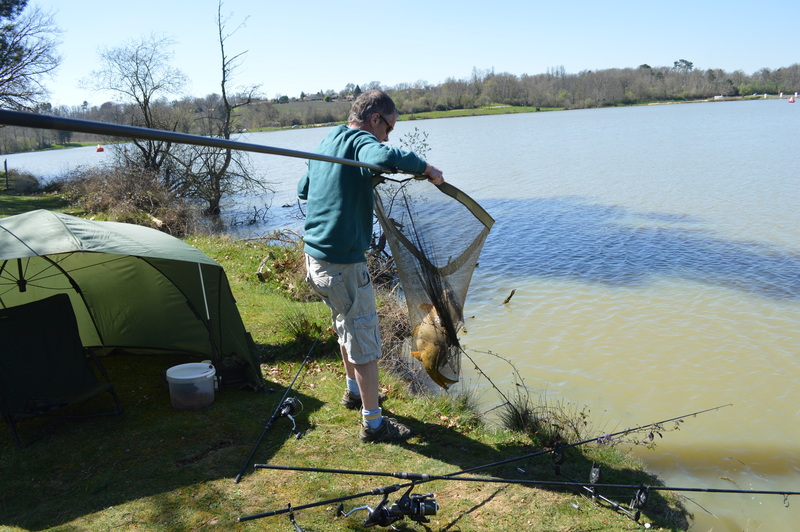 Yesterday morning, we bit the bullet and payed for the motorway tolls on A28 from Le Mans to Tours and A10 to south of Poitiers at J.30 for Château Larcher, driving for over 4 hours and skipping lunch, with a quick stop at Super U at Vivonne. 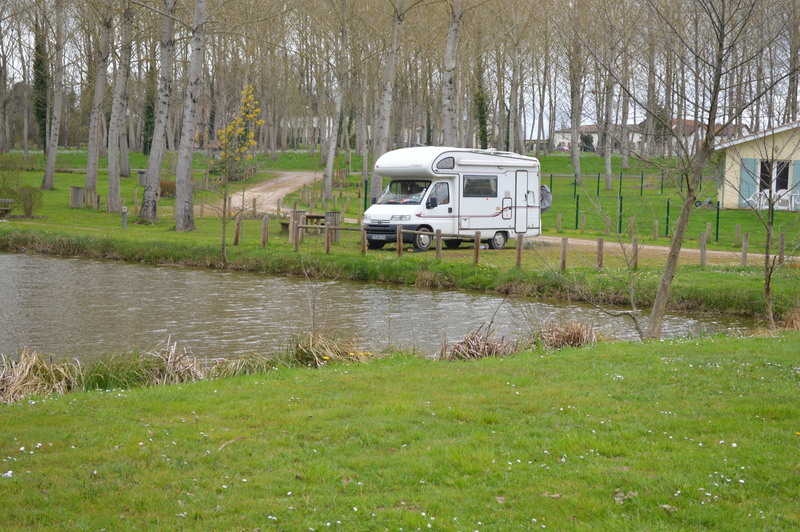 We love the motorhome aire at Château Larcher and the walk around the pond and it already felt much warmer with neither wind nor rain. It finally began to feel like the holiday had started at last and my spirits lifted immediately. The local guard came to collect the 5€ fee in the evening, a small price to pay for such a charming aire with free water, electricity and very good recycling facilities. This morning, we left Château Larcher at about 9.30 am and joined the motorway again at Vivonne to head south of Angoulême, where we did another big shop at Auchan at La Couronne and bought 2 spare inner tubes for my bike – just to be sure – as I’ll definitely need it to cycle into Barbotan-les-Thermes from the campsite at Lac de l’Uby, our next big destination. We wanted to try the motorhome aire at Montlieu-la-Garde, just off the N10, but it was shut, so we’ve come here instead and very nice it is too. 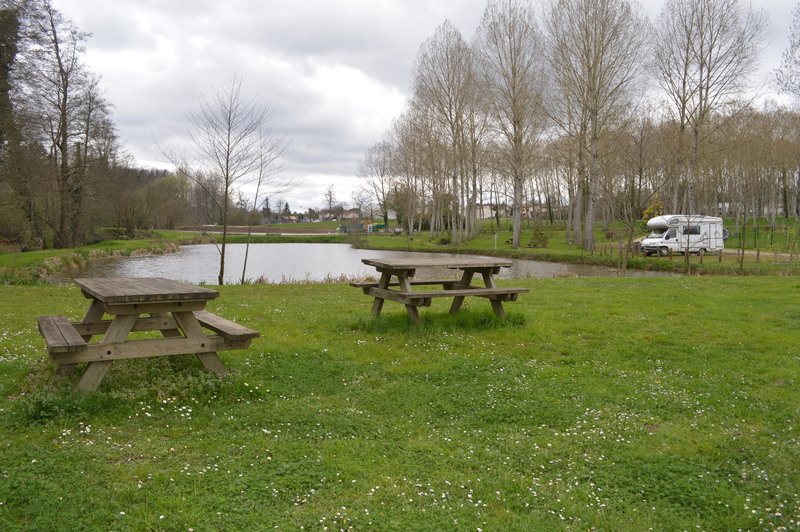 This aire at Clérac is lovely and quiet, with a pleasant walk around pond and beyond for Beano and it’s free, very well maintained and with a very large and clean toilet to boot!